I have tried a LOT of gluten-free/paleo pancake recipes, and I think that plantain flour pancakes are my new favorite. They have a lovely savory flavor, a pleasant, fluffy texture, and they are super easy to handle in the frying pan. I think you'll like them! 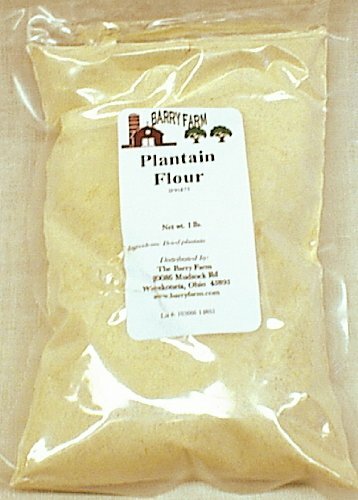 Where can you buy plantain flour? I'm lucky that I live in Miami and I can find it in just about any grocery store or small market. The brand I like is Nutriplatano and is made in Colombia. If you have a Latin American or even African store/market near you, you will almost certainly be able to find plantain flour for dirt cheap. But be careful not to buy fufu flour if you do have a store that carries African goods. Fufu is usually a mix of several flours, including plantain -- and sometimes icky preservatives and artificial colors. You can also buy it on Amazon, but I haven't tried that brand myself. There's a link in the shopping list at the bottom of the post. You can also make your own plantain flour. I have never done this, but all you have to do is cut a green plantain into thin slices, dehydrate the slices with a dehydrator or your oven, then pulverize into a flour with a high-powered blender like a Vitamix, Blendtec, or Ninja. Paleo plantain flour pancake batter. It's very thick! But don't worry, that's normal. One note about the recipe: the batter is going to be very thick, but that's normal. Don't be tempted to add a bunch of extra water to try to thin it out. Also, the finished product really soaks up whatever topping you put on it. If you need to watch your sugar intake, be careful with the maple syrup! A better choice might be the berry topping described in the instructions. This recipe was inspired by the one by Barry Farm that I found after searching for plantain flour recipes. My version uses more eggs, more oil, less baking soda, less liquid (and water, not milk), and doesn't use any added sugar. 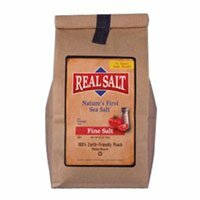 You can buy plantain flour from them on Amazon.com (see below). *UPDATE: March 2014* This recipe has been updated to include an autoimmune paleo protocol variation that is egg-free. It utilizes grass-fed beef gelatin and a bit of extra coconut oil and the result is fantastic. My official taste tester (aka husband) agrees :) Whichever version you make, you will love this recipe! *UPDATE: April 2014* I also have a recipe for AIP pancakes using pureed fresh plantain. That recipe is here. In a large bowl, combine the plantain flour, spice blend or plain cinnamon, sea salt, and baking soda. If using vanilla extract instead of spices, add it with the other wet ingredients. Add eggs, coconut oil, and water and whisk until the batter has a smooth consistency. 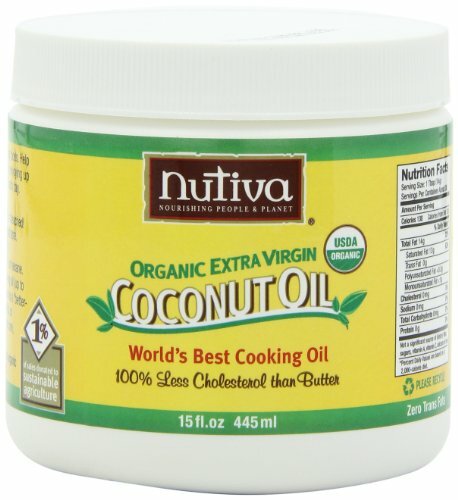 Heat coconut oil in a large frying pan over medium heat. Use a table spoon (that you eat with, not that you measure with) to scoop up the batter and place in the heated oil. This batter is going to be THICK, so you will have to use the spoon to flatten it out and shape it. Work in batches to cook all of the pancakes and try not to crowd them in the pan. Cook for several minutes on each side, using a spatula to flip. Sometimes I cook them more than once on each side. You just want to make sure they are browned on both sides. This recipe serves 2 to 4 people, depending on how hungry you are and if you are serving with sides. Top pancakes with any one or a combination of the following: real maple syrup, butter, creme fraiche, fresh berries, or cooked berries (just add 1 cup frozen berries to a pan and simmer on medium low heat until they cook down into a sauce. Use a spoon to crush berries as they are cooking). Autoimmune paleo (egg-free) instructions: Prepare gelatin first. Most websites tell you to first wet each 1 Tbsp of gelatin with 1 Tbsp of room temp water, then dissolve with 2 Tbsp boiling water. I have found another method that I think works better: Put 3 Tbsp water for each 1 Tbsp of gelatin in a small saucepan. Sprinkle gelatin on top to "bloom" (wet) it, stirring as necessary to make sure it is all wetted. Do this slowly so that clumps do not form, as they will be very difficult to dissolve. Then, heat saucepan over medium low heat and stir until all gelatin dissolves. Transfer to a mixing bowl and add remaining wet ingredients (including the extra coconut oil) and stir. Add dry ingredients to wet and stir well to combine into a batter. Cook as described above. The interior of the egg-free pancakes will be a bit more gooey than if made with eggs, but they still taste wonderful! Want to make these using fresh green plantains instead of plantain flour? Check out my recipe for green plantain pancakes (AIP-compliant). 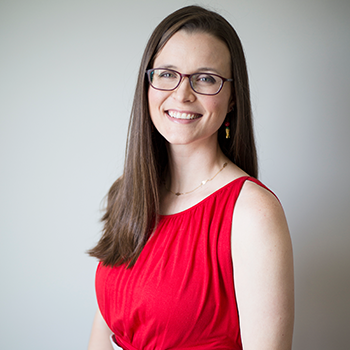 Sign up with your email address to receive emails with new recipes from The Curious Coconut -- always real food and paleo!